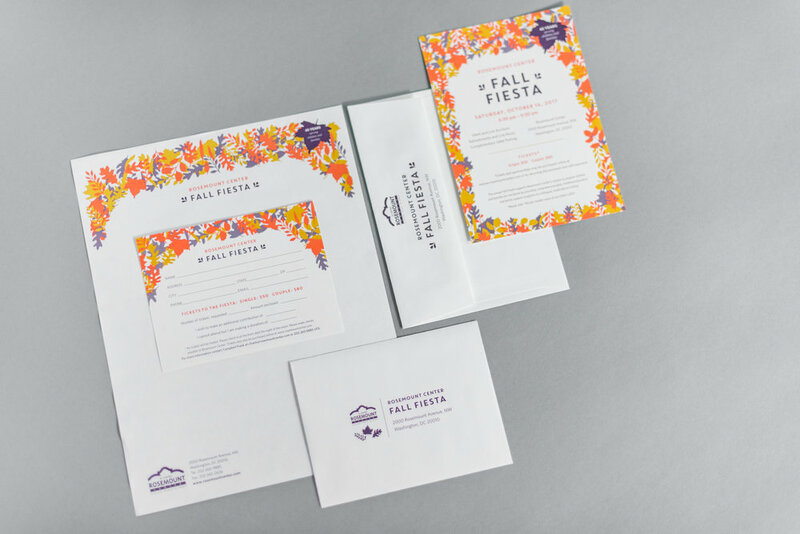 This invitation suite is just sophisticated enough for a fundraising event, but in playful, vibrant colors to evoke the youth that the Center serves. 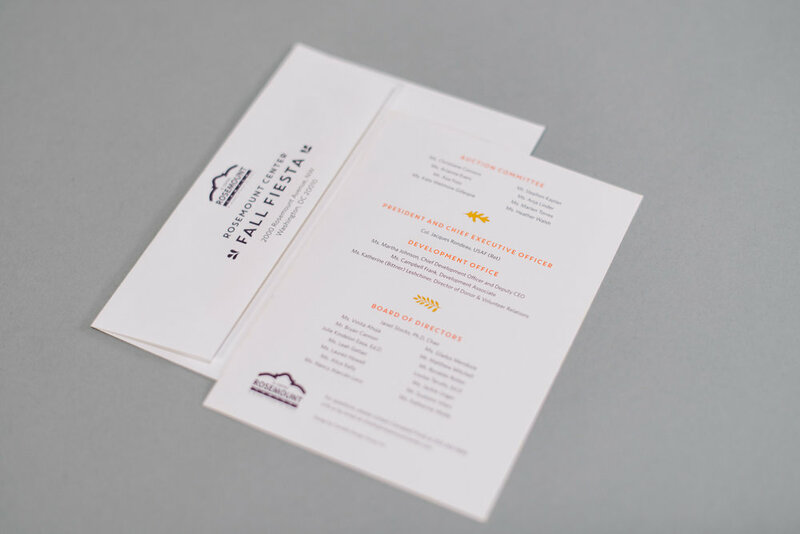 A double sided card serves at the invitation, accompanied by a reply card and envelope. 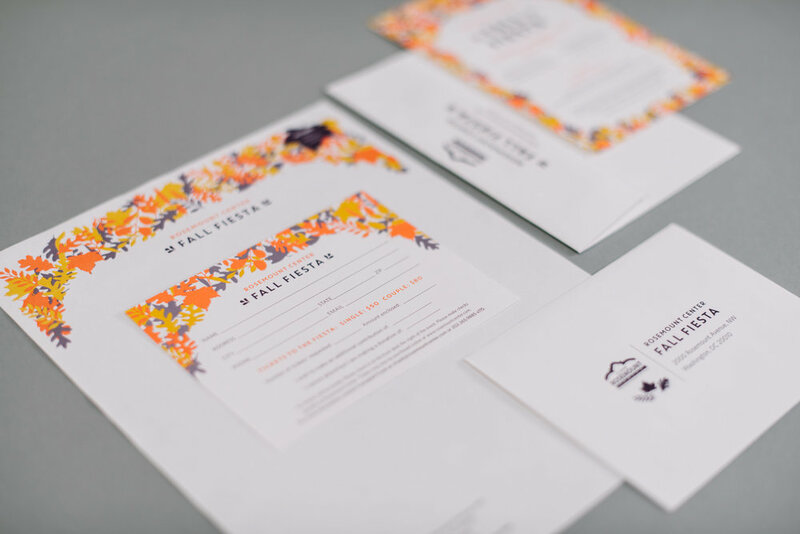 The client requested a matching letterhead to send acknowledgements to donors after the event. Rosemount Center is a dual language (English and Spanish) early childhood education center located in the Mount Pleasant neighborhood of Washington, DC serving almost 250 children and families each year. 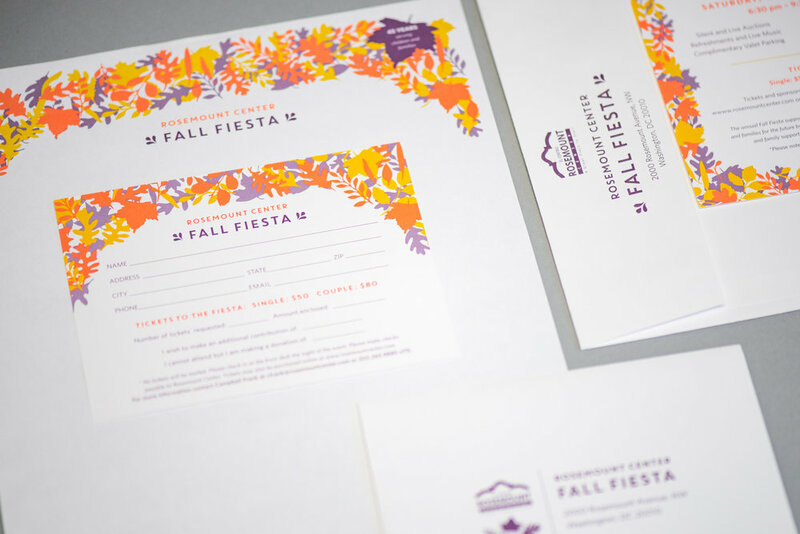 The annual Fall Fiesta supports Rosemount Center’s mission to prepare children and families for the future by providing comprehensive early childhood education and family support programs in a bilingual, multicultural setting.